The B250 4MATIC is modernized, reinterpreting the functional design in the direction of refined sportiness. The interior is innovative and boasts a particularly high standard of quality. Our B-Class has a swift and smooth acceleration as well as a whisper-quiet interior. The floating center screen looks crisp and is generally intuitive to use via the rotary dial on the console. Its steering is direct, progressive and nicely mid-weighted, and is at its best when the road ahead zigs and zags. 0.9% financing for up to 24 months, 3.49% for 36 months and 3.99% for 48 months. Come in and test drive this vehicle today and please do check out the rest of our Certified Pre-Owned inventory. The 2017 CLA250 an even more powerful appearance with even more off-road character n this vehicle falls in between the expectations of a sport sedan and a luxury car. The sense of high-class appeal has also been visibly enhanced for new attractive trim elements. Visually and technically, our CLA is the vehicle to accommodate your everyday needs and more. Finance rates starting from 0.9% for up to 24 months, 3.49% for 36 months and 3.99% for 48 months. Come in and test drive this vehicle today and please do check out the rest of our Certified Pre-Owned inventory. Our 2016 C-Class series is reimagined from every angle. The next generation of the world’s bestselling Mercedes-Benz family emerges as more sophisticated, more powerful and more luxurious than ever before. An all-new exterior artfully merges elegant proportions with aggressive bodywork, while a roomier and completely redesigned cabin delivers an even higher level of luxury and craftsmanship. With our class leading innovation of safety and assistance technology n such as standard PRE-SAFE n our C Class models are equipped with an advanced suite of in-vehicle systems that include a touchpad interface and next-generation infotainment. 0.9% financing for up to 60 months. Come in and test drive this vehicle today and please do check out the rest of our Certified Pre-Owned inventory. A new facelift gives our 2018 GLA250 an even more powerful appearance with even more off-road character n contributing to this are primarily the modified radiator grille and front bumper. The sense of high-class appeal has also been visibly enhanced for new attractive trim elements. Visually and technically, our GLA is the vehicle to accommodate your everyday needs and more. Finance rates starting from 0.9% for up to 24 months, 3.49% for 36 months and 3.99% for 48 months. Come in and test drive this vehicle today and please do check out the rest of our Certified Pre-Owned inventory. Ex-Daily Rental | The 2018 CLA250 an even more powerful appearance with even more off-road character n this vehicle falls in between the expectations of a sport sedan and a luxury car. The sense of high-class appeal has also been visibly enhanced for new attractive trim elements. Visually and technically, our CLA is the vehicle to accommodate your everyday needs and more. Finance rates starting from 0.9% for up to 24 months, 3.49% for 36 months and 3.99% for 48 months. Come in and test drive this vehicle today and please do check out the rest of our Certified Pre-Owned inventory. The Mercedes-Benz E-class is in a class of its own. Aside from the V-6 powertrain, standard 4MATIC all-wheel drive, and luxurious furnishings, the E400 otherwise will mimic the standard and optional equipment offerings of the E300 sedan. The E400 has a sumptuous interior and brilliant standard 12.3-inch center screen that creates a techno-fabulous space. With the click wheel controller, the touchpad above it, and the twin touchpads on the steering-wheel spokes, the interior console is far from intuitive. Finance rates starting from 0.9% for up to 24 months, 3.49% for 36 months and 3.99% for 48 months. Come in and test drive this vehicle today and please do check out the rest of our Certified Pre-Owned inventory. Ex-Daily Rental | A new facelift gives our 2018 GLA250 an even more powerful appearance with even more off-road character n contributing to this are primarily the modified radiator grille and front bumper. The sense of high-class appeal has also been visibly enhanced for new attractive trim elements. Visually and technically, our GLA is the vehicle to accommodate your everyday needs and more. Finance rates starting from 0.9% for up to 24 months, 3.49% for 36 months and 3.99% for 48 months. Come in and test drive this vehicle today and please do check out the rest of our Certified Pre-Owned inventory. Our 2017 C-Class series is reimagined from every angle. 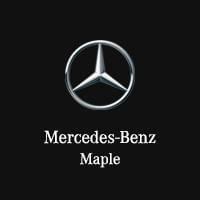 The next generation of the world’s bestselling Mercedes-Benz family emerges as more sophisticated, more powerful and more luxurious than ever before. An all-new exterior artfully merges elegant proportions with aggressive bodywork, while a roomier and completely redesigned cabin delivers an even higher level of luxury and craftsmanship. With our class leading innovation of safety and assistance technology n such as standard PRE-SAFE n our C Class models are equipped with an advanced suite of in-vehicle systems that include a touchpad interface and next-generation infotainment. Finance rates starting from 0.9% for up to 24 months, 3.49% for 36 months and 3.99% for 48 months. Come in and test drive this vehicle today and please do check out the rest of our Certified Pre-Owned inventory.